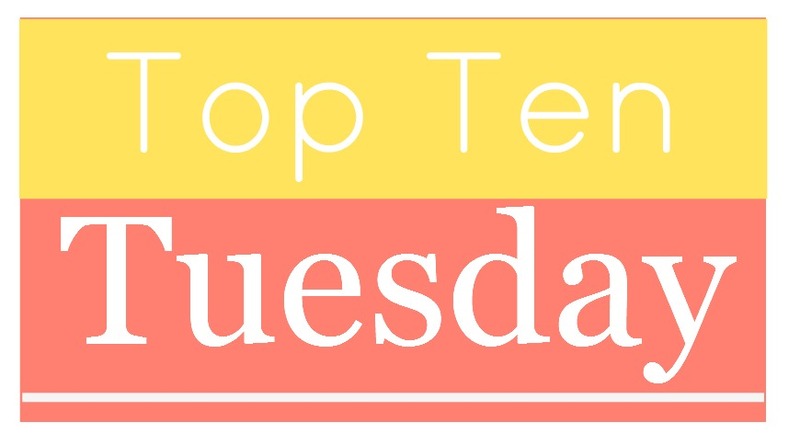 This week's prompt: Top Ten Historical Settings You Love / Top Ten Historical Settings You'd Love To See or Top Ten Futuristic Books You Love/Ten Futuristic Societies I'd Love To Read in Books --- basically this week is all about the past or the future....spin it however you choose! 1 -- Old West: I have memories of watching Westerns with my grandfather as well as with my "Uncle" Bobby (RIP -- this man was the husband of my old babysitter/family friend and we adored him). Such good memories. But out of all the historical stuff I read, I never read stuff set during this time. I've been loving the Wild West/American Frontier settings as of lately! Just gimme the Oregon Trail and Gold Rush stuff! 2 -- WWII France, Germany and England: I can't help it. I will never tired of this setting. I just won't... ever. They are often hard to read, but I've read some of my favorite historical books ever in this setting. I've always loved history and my stepdad and I would often watch lots of WWII docs on the History Channel (when it was, like, still the History Channel full of history stuff). 3 -- Tudor England: I just... can't get enough. Honestly. Esp Henry VIII court. 4 -- Civil Rights Era in U.S.: I think this period interests me because it's still so present in our society today. It's not that far removed... our parents and grandparents saw it. There's still generations who lived through it in our society. We can see the effects today and are largely still working on racial issues in today's society so I've just always been interested in it and inspired by people who sacrificed so much for rights I've just been born with and never had to fight for. I remember learning about this time in school and thinking, "Man, I can't believe this stuff happened not that long ago. Weren't we more evolved as a people than to treat people like that?" And while progress has been made because of this era, it's more evident than ever that this is still a dire issue in our country. Fascinating list, ladies. Old West is a great one. Many of the other cultures sound interesting too. Great list! I'm totally down with more stories centered around WWII, the Civil Rights Movement, India and Ancient Egypt. I'm also a fan of Stephanie Dray's Cleopatra's Daughter series. Ooh nice! I love ancient Greece and Renaissance Italy as well. Mostly because I visited them! But ancient Egypt is a pretty cool setting as well! Great picks! Always WWII books, yes! It is such a fascinating time and so important. I'm really curious about Hawaii's history now! Obviously they had Pearl Harbor but I'm not familiar with any other tragedies they faced. Great choices! Medieval and civil war are fascinating settings for me as well. I bet medieval will be popular. It covers a thousand years, so there's a lot of diverse territory! I'm with Jamie -- I'm loving books about the Old West right now. VENGEANCE ROAD was a great one. I also enjoyed Buck Rinker's travel memoir about traveling The Oregon Trail in a covered wagon a few years back. Very interesting. Egypt, England, WWII, all of it! Great choices. I am partial to medieval, the old west, and the 20s in America. Great choices! I picked Medieval England and The Renaissance as well. I didn't think about ancient Egypt, but I'd love to read more books in that setting too! Here's my TTT. Happy reading! I haven't read enough books set in Egypt! And I do love medieval books, especially GoT and His Fair Assassin. Yesssss I love ancient Egypt and Greece and Renaissance Italy and medieval period books! AWesome list! And lots of books to add to my tbr :) I'd recommed The Song of Achilles and The Memoirs of Cleopatra if you haven't read those! I have Hawaii on my list too, it's a place I'm fascinated with (especially their mythology) that I don't read much about. And I still love the Tudor Era, Jamie! Intriguing settings from everyone! I also enjoyed Cleopatra's Daughter. Historical fiction is probably one of my favourite genres, especially if the author puts in the effort to make the story as accurate to history as possible. Sarah Dunant is currently my favourite author! I read Blood and Beauty last year and was just amazed at how well it was written and how interesting the story was (even with all the history and confusing names and places)! I'm excited to pick up The Birth of Venus and In the Company of the Courtesan soon! I also love Tudor England! No matter how many books I read about it, it never gets old. Ancient Egypt and Greece are also favorites. I think the WW periods, even though they weren't very good, interest me a lot because I like to try and think of what it could have been like to live in such a time. I try to relate. Ancient Greece and Egypt are other favourites of mine!